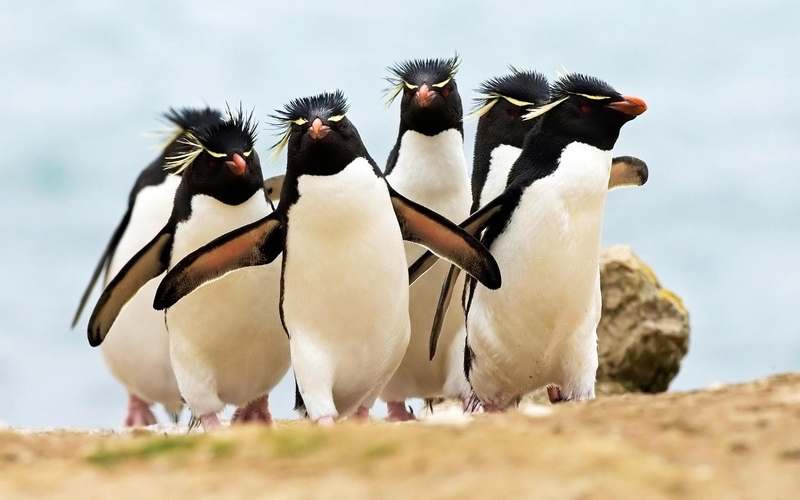 Rockhopper Penguins – one of the more ornate penguins, the Rockhopper stands 16- to 18 inches tall and weighs about 5 to 6 pounds. It can be found on subantarctic islands. Its population numbers appear to be stable at about 3.5 million pairs! These birds shake their heads and cause their yellow eyebrows to fly into a “halo” in order to attract a mate.